A string of tool thefts from vans across Dacorum has led police to issue a warning asking motorists to keep their vehicles secure. 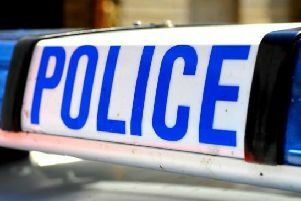 Thieves have targeted work vans and stolen thousands of pounds worth of tools across Hemel Hempstead, including Allandale, Cowper Road, Cloister Walk, Green End Lane and Vicarage Lane. Many of these vans have been accessed without causing damage to the vehicles, leading police to believe the thefts may have been carried out by either cloning the security fob or employing electronic jamming and hacking equipment. Detective Inspector Sam Khanna, who is investigating, said: “We are urging drivers to leave nothing of value in their vehicles if they leave them unattended, and never leave vans unlocked. “Power tools can be valuable and attractive to thieves. “If you are unable to remove tools from your vehicle, ensure they are left locked and secure and invest in an extra external lock and a tool safe to go in your van. “Ensure that all tools are clearly permanently marked with your postcode, as this can act as a deterrent to would-be thieves. “Engraving or weld marking, ultraviolet paint or painted bright colours may make them less attractive to steal. “Keep a record of serial numbers and, ideally, a photo of valuable tools, and register them on the online property register www.immobilise.com. > Never hand vehicle keys over to a third party or leave the vehicle unattended at a valet parking, car wash or other parking places, where criminals can gain access to the vehicle and code a key electronically. > Consider fitting an ‘OBD safe’ device, a secure lockable device that fits over the vehicle’s on board diagnostic port, in the vehicle cabin. This prevents criminals using software to code a key from the vehicle. Devices that are Thatcham approved can be obtained from www.tieronevehiclesolutions.com. > If your vehicle has a keyless entry system ensure you place the vehicle tablet key in your home address, as far away from the vehicle as possible, ideally place the key in a metal box. > Consider fitting a dual band tracking device that works on VHF/UHF and GPS, to ensure that one tracking system is still functioning if criminals use GPS blocking techniques to avoid detection. Devices approved by Thatcham and Secured by Design help to combat this type of vehicle theft, as vehicles equipped with a tracking device are often promptly recovered. > Criminals can also employ remote/keyless entry jamming equipment so make sure your car is locked by trying the door before leaving it. > Ensure that ‘home’ on your vehicle ‘Sat Nav’ is shown as the post code of your local police station and not your actual home address. > If advertising your vehicle for sale online, ensure that the registration number is not displayed when photographed to avoid cloning of its identity.